Looking for the best herbal medicine books? If you ask me, there are few things better in this life than curling up with a good herbal book. I am often asked to list my favorite books on herbs. Up until now I thought that was an impossible request. When people ask that question I think they are expecting a list of three, perhaps five herb books. Impossible! Also, I often hear beginning herbalists ask, which herbal medicine books should I buy? Again, that’s a difficult question since there are so many herbal books on a variety of topics. We are truly fortunate to have a huge array of herbal books on many different topics. Forty years ago there was just a smattering of herb books available. Undeniably, our grassroots herbal movement would not have been possible without our herbal elders taking the time to put their wisdom in print. What follows are the best herb books according to me. This is not an exhaustive list of herb books available today. Instead, I have hand- chosen my absolute favorite herbal books, the ones I most reach for on my bookshelf. I've linked many of the books below to my affiliate account on Amazon.com. This means that if you purchase books through the links below you'll be supporting all the free information I post on this website. Thank you! However, I also highly encourage you to look for these books at your library and local independent books stores. Do you feel like I’ve left out an important herbal book? Please add your best herb books in the comments below! I'm always on the lookout for quality herbal medicine books! I've divided up the Herbal Bookshelf into categories. Click on the links below to go directly to that listing. Or simply scroll down to browse all the books. These books are a great introduction to herbs. Read a Review of Body into Balance here. It's been a few years since I've read this one, but I remember it being a great introduction to many aspects of herbalism. A fantastic book by herbalist Henriette Kress that lives up to the title: Practical! This is a great introduction to herbalism with lots of information a more seasoned herbalist will also enjoy. Also check out her latest release, Practical Herbs 2. 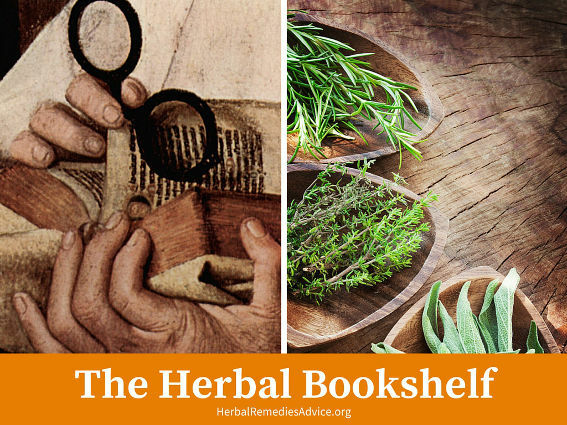 These books have in-depth monographs of individual herbs. All books by Robert Dale Rogers. I often reference these books as they are an amazing resource of information! Michael Moore's legacy to us all was re-enlivening the use of plants found outside our door (as opposed to simply buying them). His infamous humor is blended with a lifetime of study and practice. Don't let the title fool you, many of these plants are found outside of the mountain west. Michael Moore's legacy to us all was re-enlivening the use of plants found outside our door (as opposed to simply buying them). His infamous humor is blended with a lifetime of study and practice. Don't let the title fool you, many of these plants are found outside of the Pacific west. The Earthwise Herbals are what I reach for when I want a quick but thorough energetic understanding of a plant. Get both volumes and you'll seldom find a plant not listed. Volume one covers plants from the Old World. The Earthwise Herbals are what I reach for when I want a quick but thorough energetic understanding of a plant. Get both volumes and you'll seldom find a plant not listed. Volume two covers plants from the New World. This book doesn't cover as many plants as the Earthwise Herbals but the plants it does cover are discussed very in-depth. You'll reach a different level of intimacy with these particular plants! I think Paul Bergner is the cat's meow of herbalism. All of his books are a must read by herbalists. Think you know all there is to know about garlic? Paul takes this to the next level, fully introducing energetics and blasting the theory that all herbs are good for all people. In this brilliant book, Paul Bergner takes two plants that have been used, abused and overly simplified by the herbal industry, and gives them back their complexity. Like all of Paul's books the simple titles hide the real magic of the book - in this one you'll learn a lot about the immune system as well. In this book Paul shares a wealth of knowledge about ginseng. Who it works great for and who it doesn't, and how to think about tonic (adaptogen) herbs in general. Don't live in the Boreal area? Neither do I, but this book is incredibly inspiring and beautiful and covers many plants found in North America. Complete with gorgeous photos and wonderful recipes. Darcey Williamson is an herbal treasure and if you live anywhere near the Rocky Mountains this is a must have. Most of the plants listed are applicable to me in the Northeastern Cascades. She'll wow you with native plant uses that you've never considered before and it's all backed up with her decades of practice and experience. These books are great when you need to know the basics on a wide range of plants. Somewhat of an overlap with the above category. This book gives basic info on hundreds of herbs. I use it when I need the basics fast. A great reference that includes energetics and covers popular herbs from around the world. The only thing missing is dosages. Another great book for getting the basics quick. Each herb listing also contains a lot of scientific studies. It's a small book, nice to have on the go. These books go beyond simply looking at plants to better understand how to work with people, herbal diagnosis and how to use herbs in a clinical setting. In this epic book, Margi covers everything from getting your practice started, to reading the body and understanding poop as a diagnosis. You'll want to read those silky pages again and again. Often required reading for herbal schools, Medical Herbalism is a large manual on western herbalism. Herbs, herbal theory, body systems and herbal perspectives on common diseases are covered. This is a book of western herbal theory. Matthew Wood covers the six tissue states and other energetic understandings of herbs and the body. This is one of my most reached-for herbal resources. 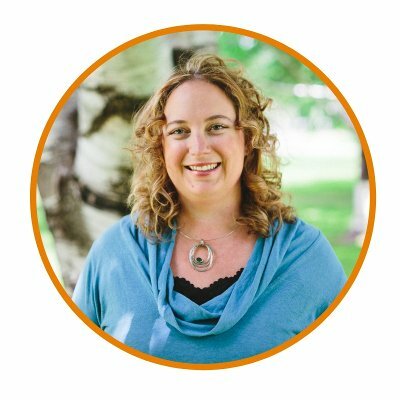 Tillotson is a clinical herbalist who has a thorough understanding of the major systems of herbalism. This book covers commonly used herbs from around the world (from dandelion to ginger) and offers energetic diagnostic patterns as well. A solid book that clearly addresses how to use herbs with people and diseases. From quick bandaid solutions (like carob powder for diarrhea) to long term care for the root of the problem. A fabulous book from experienced herbal clinicians. Perhaps one of my most referenced herbals of all time. I love how Lesley breaks down common western diseases into different underlying patterns, thus giving us the tools to move away from treating disease (e.g., insomnia) and move towards working with the person. This book also serves as a fabulous introduction to basic TCM concepts. Like all of Michael's books this one thoroughly covers all there is to know from the energetics, to pattern discrimination to how to actually use the plants! This book and the next are the latest additions to my Chinese Medicine for the Western Herbalist library and they are fast becoming my favorite. Yes, I know they are expensive. However, if you are truly interested in this topic they are well worth it. I find the theory of TCM to be brilliant and effective, but I love using herbs closer to home. Peter Holmes' two volume set is a masterpiece of compiled information placing western herbs into a TCM framework. Pricey, but if you love TCM and western herbs it is a great investment! This is a fabulous book and I highly recommend it for those who want to use western herbs within a TCM framework. Here is the long awaited follow-up to his first book. I loved this book on numerous levels. Not only is the individual herb information interesting, but his introduction to the book is worth reading over and over. Great introduction to Ayurveda and a review of western materia medica within an Ayurveda standpoint. The introduction to this book is worth the price alone! A very meaty textbook for Ayurveda. For the serious student there is no other like it! Another great introduction to the basic concepts of Ayurveda which also includes a review of commonly used Ayurvedic herbs. I used this book to start my first real medicinal plant garden and it was a luscious herbalist's paradise within the first year. From compost to starting seeds to maintaining the health of the plants, this is not to be missed by anyone wanting to grow medicinal herbs. There are few herbalists as experienced as Richo in the garden! This book is about growing Chinese Herbs here in north America. Complete with beautiful photos and indepth information about each plant from seed starts to harvesting methods. Fantastic book! And many of the "Chinese" plants listed are ones we consider western herbs as well. Probably the most thorough and most hilarious book out there. He covers everything from the most basic teas to the most complex medicine making techniques. Richo covers many of the basics in this book and then gives a plant by plant guide on how to prepare certain plants. I think both this book and James Green's book (above) are great resources for Medicine Making. This book has a brief, but useful, materia medica followed by a treasure trove of herbal tincture formulas. This is one of our only herbal formula books in western herbalism. Lisa Ganora makes this topic come to life. Herbal geeks everywhere will love this book! 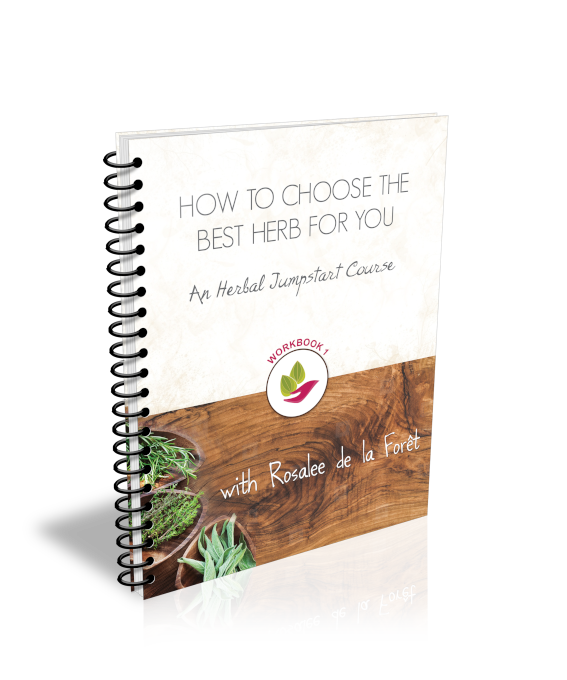 This is one of the best herbal textbooks on the market and includes information from some of the most experienced herbalists of today. If you work with women in a clinical setting this book is a must. I think this is the best book out there for using herbs to address common complaints in pregnancy. A fabulous book for postpartum care, from sitz baths to increasing milk supply. Filled with Rosemary's magic, sage wisdom and many do it yourself herbal remedies. A must have for all women interested in herbs. Great resource from one of the most experienced herbalists of our time. This book is full of simple but effective remedies for using herbs with children. Great option for beginning and experienced herbalists alike. One of my go-to books for herbs for kids. Specific herbs, easy recipes and many childhood health complaints are covered. A fun book to inspire the children in your life (and yourself!). Lots of fun activities, songs, stories and other fun things to do with herbs. A fantastic resource for parents, this monthly zine is filled with creative curriculum to inspiring your kids to play with plants and learn at the same time. Songs, stories, crafts and more! This is the first book I reach for when wondering about herbal safety and herb/drug interactions. Be sure to get the second edition. This is a dense book that doesn't cover a lot of herbs, but really covers the herbs well. This book covers more herbs than the above book, just less in-depth. Both are great references for the practicing herbalist. A must have for those wanting to break into the world of botany for plant identification purposes. Tom demystifies the world of plant identification and shares interesting herbal tidbits about the plants as well. Shameless self promotion: buy this book and use it along with mine and John Gallagher's course, Learning Your Plants: Botany for Herbalists, on HerbMentor.com. Just published in 2014, this is a must have for those of you in the mountain west. I should note I am partially biased since I am honored to have some of my own photos published in this book. A beautiful book with lots of wonderful information. These two books by Sam Thayer are easily the best books on foraging out there. As Sam repeatedly says in the books, these are based entirely on his very extensive experience. Even though he is based on the east coast, many of the plants are found all over north America. The must-have book for plant ID in the northwest coast. Besides an easy referenced field guide it also lists ways natives used the plants. For ethnobotany geeks out there, Nancy Turner is a goddess. Fascinating book on how plants were used to make tools, clothing, shelter and on and on. A fantastic book that dispels the notion that first peoples didn't use agricultural practices. You'll discover that our idea of wilderness is completely false and see the brilliant ways people interacted with the land. THE reference guide for Native American Ethnobotany. Many other books on the subject simply repeat this thoroughly researched treasure. One of my most recommended books to clients. Todd breaks through a lot of myths about food and shares simply but powerfully on the best foods for your health. A little hard to find now, but this is a great book! This was one of my first plant books and I still treasure it. It's specific to the pacific coast, but many of the plants are found across the US. Although she does list medicinal uses of plants, this book is not necessarily about herbalism, but more about edibles and general ethnobotany of plants. For many years Linda Runyon ate most of her food from the land. A great resource for wild edible plants. My most reached-for cookbook. Every recipe is delicious and fairly easy to prepare. I love that Indian cooking using TONS of spices. A beautiful cookbook with an interesting blend of herbs and spices. Persian food does sour so well! I couldn't put this book down. A must read for any herbalist. A great read on a category of herbs. Besides offering in-depth information and energetics of plants, dosages and contraindications are often given for each plant. My favorite book on fungi! 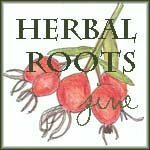 This is a wonderful resource for herbalists as well as those living with cancer. Although it's not my favorite to refer to herbs as antibiotics, this book is filled with good info. Get the second edition. If you loved Herbal Antibiotics then definitely get this book as well. Important books in our world. Interesting look at cultural beliefs around "invasive" plants. Also has a section on monographs of "invasive plants". Heavenly recipes for all sorts of health and beauty applications. From creams to shampoos to solutions to acne. Nice simple book with great recipes for herbal body products. This book goes beyond herbs for the body, but somehow I placed it here. Rosemary's recipes are ones that you'll use again and again. An aromatic tale of three sisters that will undoubtedly inspire you to cook more with cardamom. Yes, the book is better than the movie. Very beautifully written. I've included links for these books to amazon.com for easy reference. By using those links to make purchases you support this website, thank you! Libraries and local independent bookstores are other ways to support local communities, grassroots movements and small businesses. Please support them!